Worried about high design fees, ongoing costs? Or are they met with a lot of disappointment, disarray and confusion? Just as the name suggests, web design is simple – the design of a website. However, as a business, your goal is to have a website that is attractive, appeals to your target audience, and contains content to help convert your visitors into paying customers. 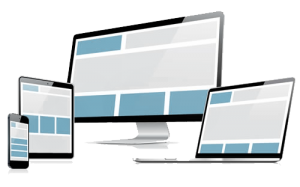 When it comes to business web design, it takes a serious collaboration between the business owner and a skilled web designer to create a site that will work towards bringing in more sales. Did you know that most visitors are unlikely to return to websites they browse? This is especially true for websites that are unprofessional, slow-loading, and hard to navigate.